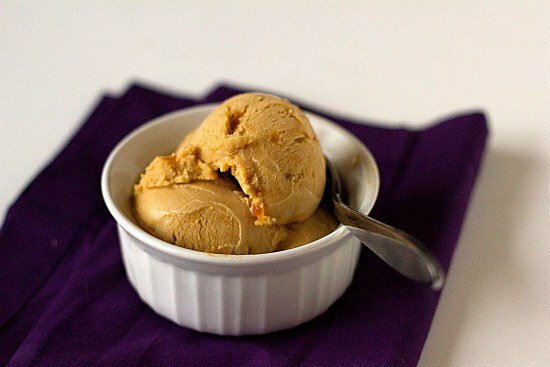 Rich, buttery and salty caramel ice cream with little bits of praline sprinkled throughout. Oh, the goodness that is salted caramel… anything. Sauce, frosting, cupcakes, brownies, caramel apples, ice cream. It seems that whatever salted caramel touches in the kitchen turns to gold. There’s something about that smooth, buttery, sweet, salty and almost nutty flavor that transforms just about anything into the best version of itself. 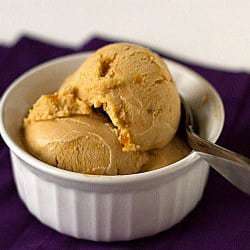 I have had salted caramel ice cream on my to-make list for quite some time, and after spending my vacation eating ice cream almost every single day, I definitely had the ice cream-making bug once I got back. I took a quick poll on Facebook to see what types of flavors readers might be interested in seeing, and I was pleased to see so many were thinking along the salted caramel line as well. To the kitchen I went! I even splurged on fancy European butter for this occasion! I was tempted to stop the ice cream process after the caramel sauce was made and just eat it by the spoonful. Holy wow. And I won’t lie – I did steal more than a few tastes. But the sacrifice for the good of the salted caramel ice cream was definitely worth it. If you’re a caramel fan, you’ll want to stash this away and not share it with anyone. Such a deep, creamy and perfectly balanced sweet and salty flavor with tiny bits of praline that turn gooey and perfect. I do believe this ice cream deserves a partner in crime. I’m thinking brownies would be a perfect pairing! 1. Make the Caramel Praline Mix-In: Line a baking sheet with parchment paper or a silicone baking mat. 2. Place the sugar in an even layer in a medium saucepan and place over medium heat until the edges begin to melt. Gently stir with a heatproof spatula from the bottom and edges towards the center until all the sugar is dissolved. Continue to cook, stirring occasionally, until the caramel begins to smoke and emits a nutty, almost-burnt smell, a couple of minutes. Remove from the heat. 3. Immediately sprinkle with the flaked salt (do not stir), then pour the caramel onto the prepared baking sheet, tilting and swirling it to form an extremely thin layer. Set aside to harden and cool. 4. Make the Ice Cream Custard: Fill a large bowl one-third full with ice cubes and add a cup of water. Nest a smaller metal bowl (at least 2 quarts) over the ice, pour 1 cup of the milk into the bowl, and rest a fine-mesh strainer on top. 5. Spread the sugar in a medium saucepan in an even layer. Cook over medium heat until caramelized, using the same method described in Step #2. 6. Once the sugar has caramelized, remove from heat and stir in the butter and salt, until butter is melted, then gradually whisk in the cream. If the caramel hardens, return it to the stove and stir over low heat until completely melted. Whisk in the remaining 1 cup of the milk. 7. 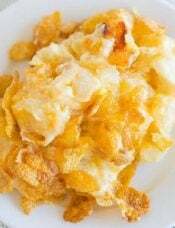 In a small bowl, whisk the egg yolks, then gradually whisk in about ½ cup of the warm caramel mixture. 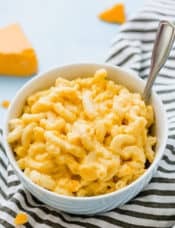 Scrape the warmed yolks back into the saucepan and cook the custard over medium heat using a heatproof spatula, stirring and scraping the pan constantly until the mixture thickens and reads 170 to 175 degrees F on an instant-read thermometer. 9. Freeze the mixture in your ice cream maker according to the manufacturer's instructions. 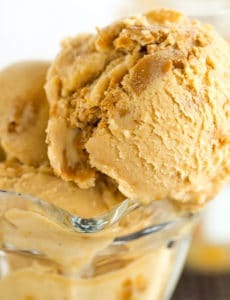 While the ice cream is churning, crumble the hardened caramel praline into ½-inch pieces. Add the praline pieces during the last minute of churning. Transfer the ice cream to a freezer-safe container and freeze for at least 2 hours before serving. Ok this recipe does not work for me. I have my eye on a two quart ice cream maker by cuisinart. Your recipe makes only one quart. So sad, I will not be pinning this. We hope all of your ice cream recipes are not 1 quart only. Hi Heather, You can simply double the recipe to make 2 quarts if you want to fill your ice cream maker to capacity. 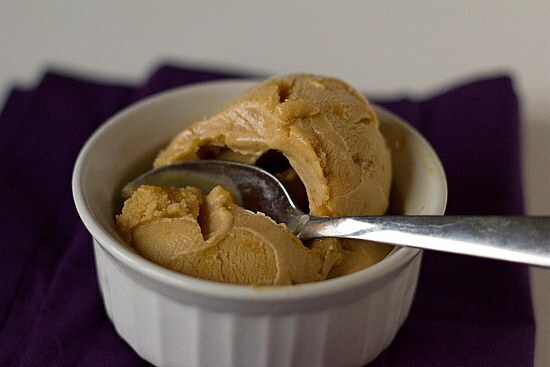 Your salted caramel ice cream looks delicious! I’ve made this ice cream a few times, the first using normal table salt. Big mistake. It tastes so much better using a salt like fleur de sel. The taste is much less harsh. You’ve copied the recipe exactly from my website! So tasty! 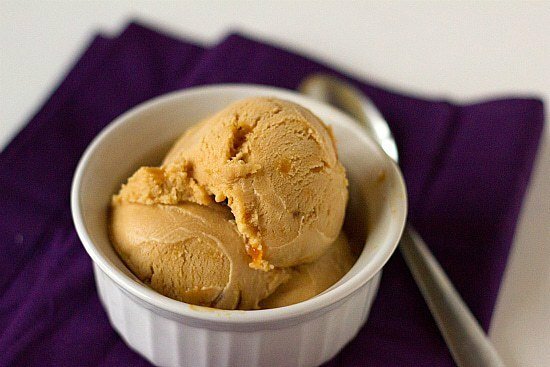 Salty caramel ice cream is my husband’s absolute favorite dessert, but not easy to find and super expensive. This recipe is a keeper! Boy, I am in florida and it is getting HOT and i needed a new ice cream flavor. 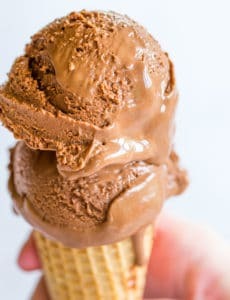 It is cooling down before going into the ice cream maker and I keep dipping my finger in to taste (again and again) Hope there is enough left to make ice cream :)!!!! I loved the custard for this ice cream. I was a little worried because it was softer than my normal ice cream custard after churning. However, it hardened to the perfect consistency in the freezer and, unlike some homemade ice cream recipes that I’ve tried, it never got extremely hard. It maintained the perfect consistency. 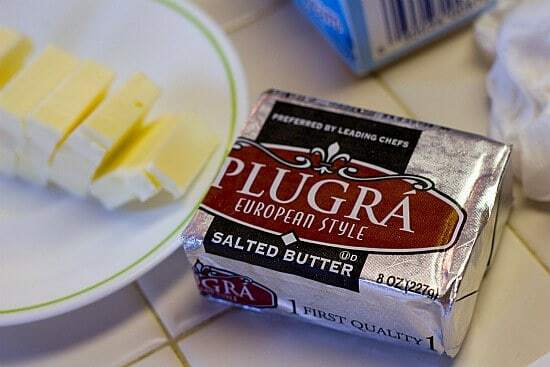 One question–do you think that there would be any problem making this with unsalted butter and adding in a little extra salt? I’m making salted caramel swiss meringue buttercream this weekend, and I’ll just happen to have 4 T of unsalted Plugra and 1 c of heavy cream leftover. It’s the perfect excuse to make this recipe again! Hi Andrea, I think that would work! So glad you enjoyed the ice cream! Hi there, it all depends on what the “essence” actually is. In some places, it is merely imitation vanilla extract, in which case, you can substitute it in a 1:1 ratio for the vanilla extract. In other places, vanilla essence is like an essential oil, and in that case, you should only use a drop or two. Do you use coarse sea salt? For the ice cream custard, I used fine sea salt. hey. Thanks For the recipe. I love it so much. I only found out about the salted caramel ice cream on haagen-dazs and have been a fond of it since. Since I already bought my ice cream maker I thought why should’t I make Salted caramel. 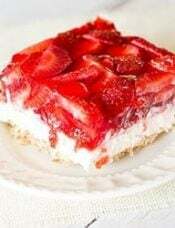 I tried this recipe and really enjoyed it. Only thing that I would change is the usage of sugar. It’s too sweet. But its okay though. 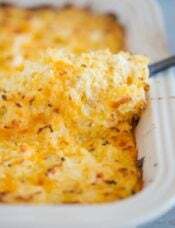 I love this recipe and I love you for posting this. keep up the good work! Add me to the failed list on this one. First, I must have burned the sugar because it tasted burned. I didn’t realize it until I had made the custard and tasted it – I haven’t had very good experiences lately with caramel making, I tried to make the salted caramel sauce and burned that, and now this. I followed the directions (except that maybe I stirred it too much? I didn’t read that you are only supposed to stir it “intermittently” until I had already been stirring it almost constantly), but it goes from ok to burned so quickly – I honestly had no idea that it had burned – there wasn’t a smell or smoke, and it was a nice golden color. Anyway, I continued making the ice cream hoping that the other ingredients would somehow mask the burned taste. Let me tell you, it’s impossible. 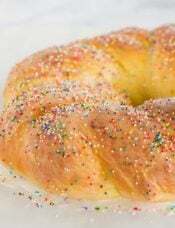 Burned sugar is a horrible taste and can’t be covered up. If I were to do it again, I would have cooled some of the caramel after step 5/2 and tasted it before I added the other ingredients. At least at that point you have only wasted 1.5c of sugar. Mine never turned creamy either. It just remained a soup even though I churned it for over half an hour and didn’t add the pieces until the last minute. Hi Jennifer, I’m not sure – if you didn’t make any substitutions and followed the directions as written, I don’t know why it would separate and not freeze. You actually made your own Ice-cream? I’m such a newb compared to you. Got my Cuisinart ICE-100 delivered to the house yesterday. Used this salted caramel recipe for my intial test-run. FAN-TAST-IC recipe…and results! Ice cream is incredibly smooth, creamy and delicious! Thanks! Just made this and I was wondering if you found it s bit too sweet? Other recipes don’t call for as much sugar. It’s delicious but I could only have one scoop as I found it very rich and sweet. Hi Ruks, I usually find questions about whether foods are too sweet or not sweet enough to really be a matter of personal taste. What tastes too sweet to one person might be perfect to another. 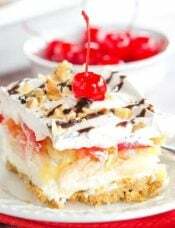 If you found the ice cream too sweet, try reducing the sugar a little next time. Hey Michelle! I am working on this now and am wondering if there is a way to quicken the 8 hour cooling process? 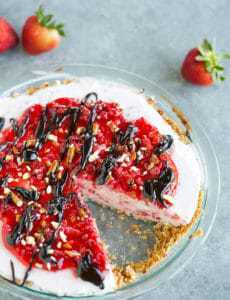 I am making this as a surprise for my husband for tomorrow but don’t want the ice cream maker running when he gets home.. The surprise won’t be a surprise then :) do you think I could chill it more quickly in the freezer or not? Hi Elizabeth, Definitely don’t put the custard in the freezer to speed up the process. You could probably cut it down to 6 hours or so; the key is making sure it’s thoroughly chilled or it won’t churn and thicken up into an ice cream texture. I got an ice cream maker for Christmas, and I think this will be the first type I make! If we added pecans to this, would it be like a butter pecan? Or even better because it is caramel? It won’t taste as much like butter pecan as it would a “turtle” type of flavor, minus the chocolate. I think it would be good! I added 1 cup toasted pecans to the salted caramel praline add-in, roughly chopped it, and put 3 1 inch layers of them in the container between the ice cream (bottom, middle, top). before sticking it in the freezer to harden more. It was so unbelievably good I can’t overstate it.